Up and coming west coast artist Mucho Deniro and his OGE crew (Organized Grind Entertainment) have been making a lot of noise over the past year. We previously posted the rapper’s hit collaboration with west coasters Liane V and Problem, “Watchu Gon Do”, and his summer banger “Finally Single” featuring Rayven Justice. 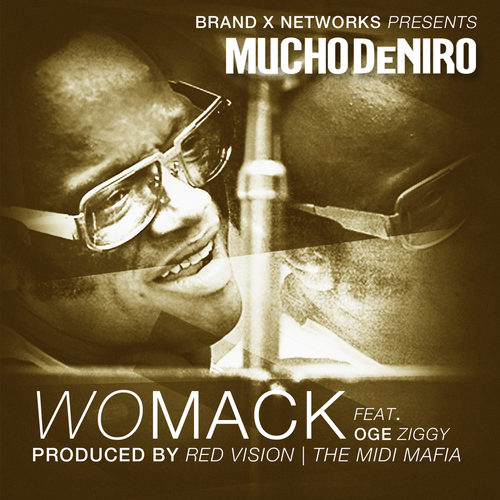 This time Mucho teams up with his late OGE comprade, Ziggy, in a soulful track produced by Red Vision (The Midi Mafia), entitled “Womack”. The track is a sneak peek of what we can expect to hear on his new project Millionaire In The Making. Pop the hood, check it out, and let us know what you think. This entry was posted in Gossip and tagged BRAND X, hip hop, Mucho DeNiro, OGE Mucho, OGE Ziggy, Red Vision, The Midi Mafia, west coast, Womack. Bookmark the permalink.